Restaurant choices in Destin and along Highway 30A range from family restaurants to sports bars to fine dining. Cuisine includes local seafood with oysters on the half shell, Italian, BBQ and fast food. Experience everything from a crab house on the beach to 5 star ratings. We recommend the following neighborhood restaurants, each one offering great local ambience. "Destin's Most Awarded Restaurant" Contemporary Dining at Its Very Best! Experience breathtaking views of the Destin Harbor through a thirty foot bar window and waterfront dining room. Our extensive international wine collection complements an eclectic menu of classic Creole, Mediterranean, Pan Asian and American cuisine. Menu includes USDA Prime Beef, fresh Gulf Seafood and Sushi. Private dining for up to 45 guests. Recipient of the DiRoNA award, Florida Trend Top 400 and Emerald Coast Magazine's Best Fine Dining. 2 for 1 Entrees 5-6 Nightly. Happy Hour 5-7 Nightly. Thursday Night Ladies' Night $2 Drinks. Wednesday $6 Martinis. you're going to love Jim 'N Nick's! Ruth's Chris is no ordinary restaurant. From the U.S. Prime steaks, broiled to perfection at 1800 degrees, to the expertly executed seafood, New Orleans-inspired appetizers, unforgettable desserts and award winning wine list, this is a steakhouse to which others aspire. Live entertainment Tuesday through Saturday. Daily Happy Hour 5-7 pm. Specializing in Florida Seafood and Louisiana Flavors! Come enjoy our million dollar view of the Gulf from our dining room or the outdoor terrace. Lunch, Dinner, Happy Hour, Weddings and Special Events. Sunday Brunch 11 - 3 pm. A Victorian Bed and Breakfast – With Views ! Henderson Park Inn is Destin, Florida's only adults-only, beachfront bed and breakfast! Located adjacent to the Henderson State Park, guests enjoy over a mile of unobstructed Gulf of Mexico coastline. Each spacious suite greets you with stunning views and a complimentary bottle of wine, with grapes and chocolates. Henderson Park Inn provides inclusive amenities, like daily made to order breakfast, gourmet boxed lunches, beach service, daily happy hour, and bicycles. A real timeless treasure, Henderson Park Inn is the relaxing beach sanctuary you have been dreaming of. Best Breakfast Restaurant – With a View ! Candymaker Candy Stores, a Destin tradition since 1993, added a full country breakfast at the new flagship store at 1771 Scenic Hwy 98, just east of the Back Porch Restaurant. Menu includes biscuits & gravy, true country sausage & country ham, croissant breakfast sandwiches, eggs, French toast, huge homemade cinnamon rolls. La Vazza coffee, fresh squeezed orange juice & Mimosas. Dine in or on the Bikini Deck overlooking the Gulf! A local sports bar serving great pizza and awesome wings. A favorite of locals where everyone receives a personal greeting and great customer service in a friendly “Cheers” atmosphere. The staff will bring up any game you want to watch. Come by and enjoy Destin’s only 5 star pizza restaurant or have it delivered. Flip Flop friendly. O’Quigley’s Seafood Steamer & Oyster Bar in Destin has something for everyone. Fresh Gulf Seafood, Oysters on the ½ shell, King Crab, Snow Crab, & Fresh Blue Crab. We also have a family friendly game room & over 64 HD TV’s. Located across from Bass Pro Shops in the Best Buy shopping center. Mimmo's is the fresh new hot spot in Destin, Florida serving authentic Italian dishes bursting with flavor and color. Open seven days a week, 11 am to 10 pm on weekdays and 5 pm to 10 pm on weekends, Mimmo's is the perfect atmosphere - whether it be a business lunch or a large family celebration. Daily specials & pizza prepared in an open flame oven. Our full bar provides a vibrant venue for an evening out with friends. Come try it out for yourself and see what everyone's talking about. Award winning Destin Commons is the premier open-air lifestyle center for the entire family. Enjoy a variety of eateries from fast casual to table side dining including favorites like El Jalisco Mexican Restaurant, Chipotle, Divieto Ristorante, Sashburger, Which Wich, Zoe’s Kitchen, Whole Foods and more! Destin Commons truly offers the best in shopping, dining and entertainment. Find us on Facebook, Twitter and Instagram. Energetic but relaxed with music performed every night by local bands from 7-10. Our food is a mixture of everything from seafood to fine cuisine. Bric a’ Brac’s related to the famous Red Bar and Louis Louis. The decor is eclectic with lots of attitude creating a great atmosphere for everything from families to a first date. A place you’ll want to visit over and over. Welcome to Destin and enjoy the unique Destin mystique. The New Dragon Mongolian Grill & Buffet serves over 100 buffet choices with Chinese, Japanese & Sushi available. A complete , all you can eat buffet located in the center of Destin offering a wide array of appetizers, entrees, salads & desserts. A favorite of many local residents. Lucy Buffett's LuLu's Destin is a family fun destination restaurant on the Choctawhatchee Bay - next to Legendary Marine at the base of the Mid - Bay Bridge. Live music nightly. Separate allergy menu. Specializing in gulf coast southern favorites & coastal staples. Open daily at 11AM. Satisfy your Outback craving! Now open at 11am daily for a Bloomin’ Great Lunch. Dinner menu starting at 3pm. Want 50% off * (Up to $20) Every 4th visit? Sign up at dine-rewards.com. Then, download our app to Track your rewards at outback.com/app. *Visit dine-rewards.com for full Program details. You're bound to find something you'll love on our menu. From out of this world seafood dishes to our amazing slow roasted ribs, we've got a wide variety that's going to please. We use only top quality ingredients in everything we make, from our abundant salads to our memorable desserts. Of course, we've got shrimp the way you like it too. Come in for a fun experience and a great meal soon. Hog's Breath Café, locally owned and operated since 1976 is a fun place for the entire family. Hog's Breath features great sreafood, Fresh smoked BBQ, live music & handmade shirts. Catering and special events available. Hog's Breath is better than no breath at all! Our oysters are outstanding but we also offer a vast menu for lunch or dinner. New Orleans inspired dishes, salads, gumbo, daily specials utilizing locally caught fresh fish and seafood. Also burgers, poboys, sandwiches, steak or chicken. You'll be served with warm Southern hospitality in a unique atmosphere that complements the food. Exposed brick walls, wrought iron railings, French Quarter lighting and architecture. Or, just pull up a stool at the long copper bar, order a cold one and watch your oysters be grilled to perfection. Graffiti Restaurant opened over 20 years ago & later added The Funky Blues Shack, a live music venue & winner of the Best Music Award 3 years in a row! Our family-friendly restaurant is as impressive as the décor itself! Everyone feels welcome in the fun and quirky atmosphere. Much our art work was created by well-known folk artists. Our food is made from scratch, using only the freshest ingredients and our fresh, Gulf Caught fish! At Graffiti, we love creativity and encourage it all the way from the kitchen to the customer. The Boathouse Oyster Bar in Destin, Florida has been a local favorite for over 35 years. Located on the water near the Destin Harbor, grab a dozen Oysters, taste our award winning Gumbo, and drink a cold beer like a local. With live music every day of the week, there’s always a crowd and a party at the Boathouse Oyster Bar! Part of Guglielmo's Restaurant Group. Guglielmo has been serving the Destin area the past 28 years. Authentic pasta's seafood, chicken, veal & specials. Watch our pizza chef make your pizza in the main dining room. Family friendly ~ children's menu, dessert menu & full bar! Enjoy David Seering performing on weekends in the bar. Pizza tossed from hand made dough, chicken wings and signature breadsticks. Just come in and grab a Hot - N - Ready pizza today. You don't need to order in advance. 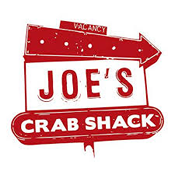 Joe's Crab Shack is a family friendly, casual dining, energetic crab shack. We have an abundance of crab with many other land and sea choices. Come visit us, dance with the staff, and enjoy a memorable dining experience! !